Casio CDP-130 Review - Is this keyboard any good? Casio, make great keyboards. But not all of their products are great, especially if you take older models into account. Today we’ll be reviewing the Casio CDP-130, and tell you what we think of it, it’s pros and cons and whether it’s a good buy or not? Let’s start by looking at some important features to help make your buying decision easier. One of the nice things about keyboards is that they are much easier to transport than acoustic pianos. If you’re a traveling musician whose instrument of choice involves tickling the ivories, you don’t have a lot of options. Keyboards are your best bet. And, the nice thing with the Casio CDP-130, is that you get something that is easy to transport. The dimensions are sized to fit easily in your car. It is also relatively lightweight which naturally is a handy aspect of any keyboard. The keyboard doesn’t come with a stand, but you can happily play the unit on any table. The keyboards light weight will make it easy to move around when needed. Casio CDP-130 comes with fully weighted keys. This means that it is built to have a feel that is similar to an acoustic piano. Any decent electric keyboard should include weighted keys, but this feature is never a given. You also get the benefit of Casio’s impressive tri-sensor technology. The hypersensitive sensors ensure that the keyboard registers even the slightest touch. Essentially this feature guarantees a playing experience that will resemble that of an acoustic piano. And, being graded, the keys are all weighted differently. This means that lower keys are going to be heavier than the higher notes. This is another relatively small detail, but if you are trying to closely replicate the feel of an acoustic, the feature is invaluable. You also get ten different tones with this piano. That is one of the significant benefits of going with an electric piano over an acoustic. The ten different tones that you get here include different instruments and several piano tones. Tones include options like “grand piano.” Of course, it will not actually sound exactly like a grand piano, but the quality is still more than acceptable. Obviously, the more tones you get, the better. While many pianos feature a lot more than ten, but, for the money you pay for this Casio, ten is fine. It features an easy to use interface. The buttons are pretty straightforward, which means that just about anyone is going to be able to sit down and quickly start playing. If you have ever used a keyboard before, you know that ease of use is always a plus. The fact that this piano doesn’t have as many features as other keyboards helps in this case, and makes learning the interface a breeze. When you consider this piano for what it is, there really are not many cons to speak of. It obviously isn’t a perfect piano, it’s a basic unit, and as a basic unit, it has basic limitations. While the CDP is relatively affordable, the cost of necessary accessories will quickly add up. There is also the issue of the sound quality. While the sound certainly is not terrible, it does struggle to compete with higher end units. When you play loudly, you are going to notice some distortion. Not great by any stretch of the imagination, but for the money, it is a good keyboard. If you want something that is free of issues of this nature, you will need to spend a lot more money. Sounds distort on higher volumes. 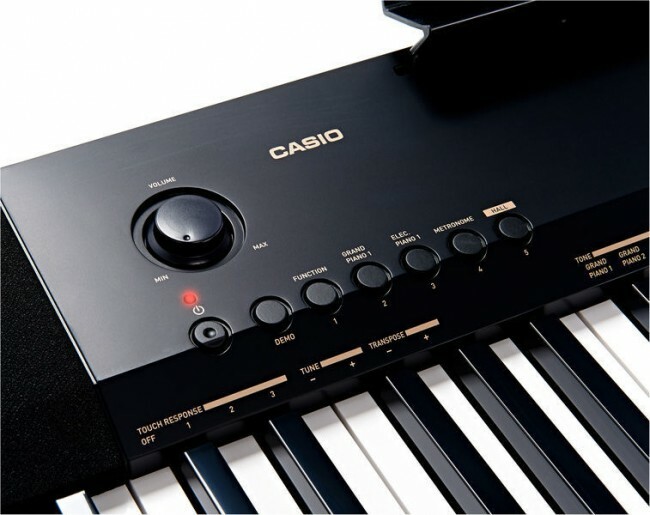 While no product is completely perfect, it is safe to say that the Casio CDP 130 has plenty for the buyer on a budget. It is a high-quality keyboard with keys that do well to mimic the feel of an acoustic. It has decent sound quality and lots of features that you will like. If you are a beginner or even someone that doesn’t mind simplicity, you will find plenty to like here. 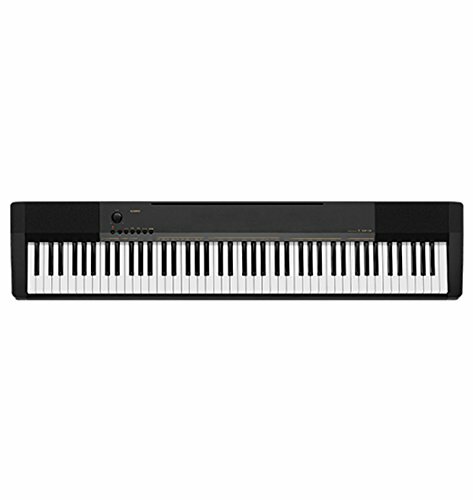 Even though it’s not the best digital piano on the market, some people will love it, and we do recommend that you try the Casio CDP-130 to see how you feel about it.